The American Cancer Society’s Relay for Life took place over the weekend at Shenango High School. It was the 20th anniversary for the New Castle fundraiser. 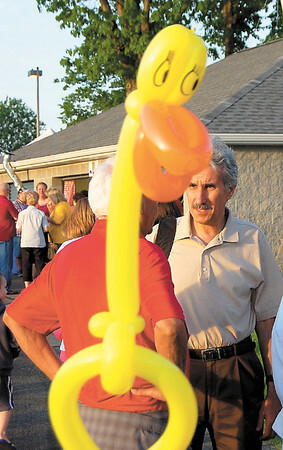 A balloon figure appears to give state Rep. Chris Sainato the eye. — Sam Luptak Jr.